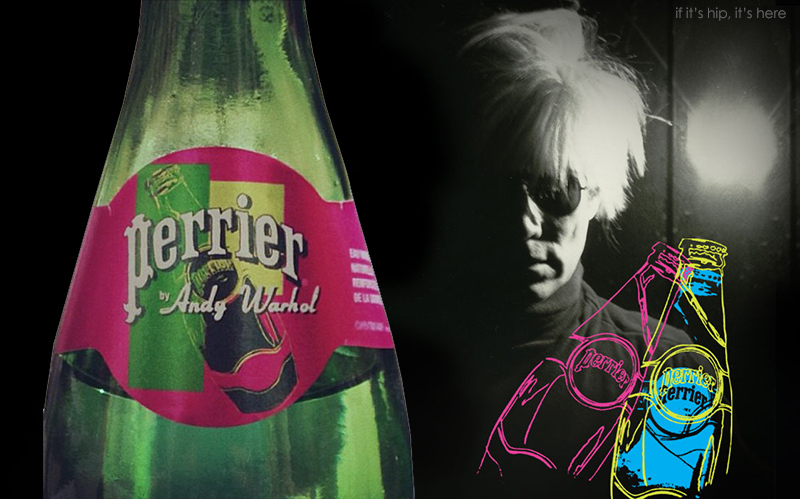 If It's Hip, It's Here (Archives): Perrier By Warhol. 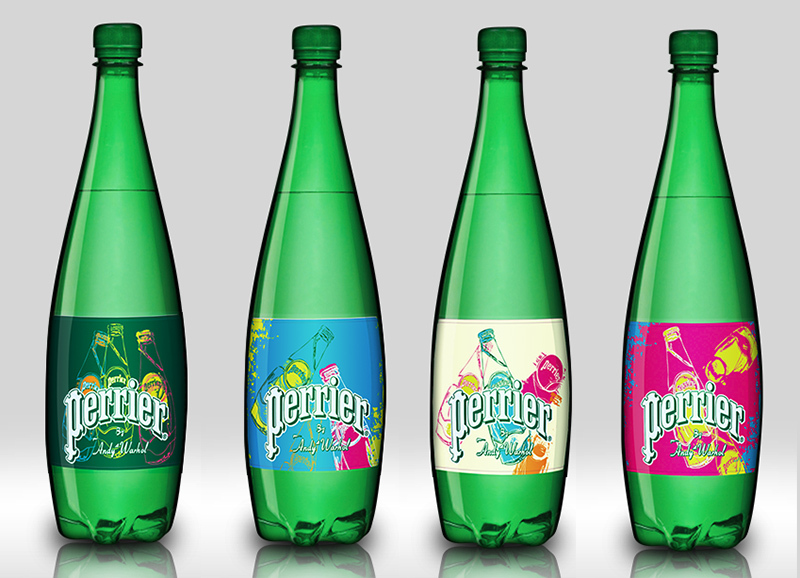 New 2013 Andy Warhol Inspired Limited Edition Perrier Bottles. 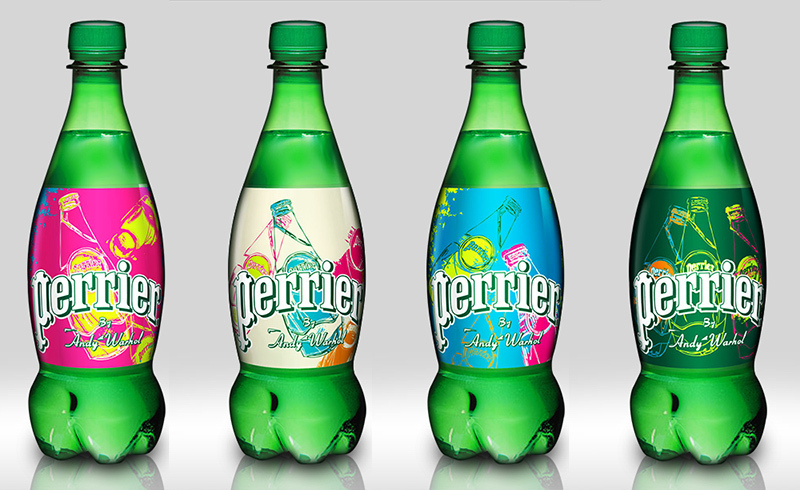 Perrier By Warhol. 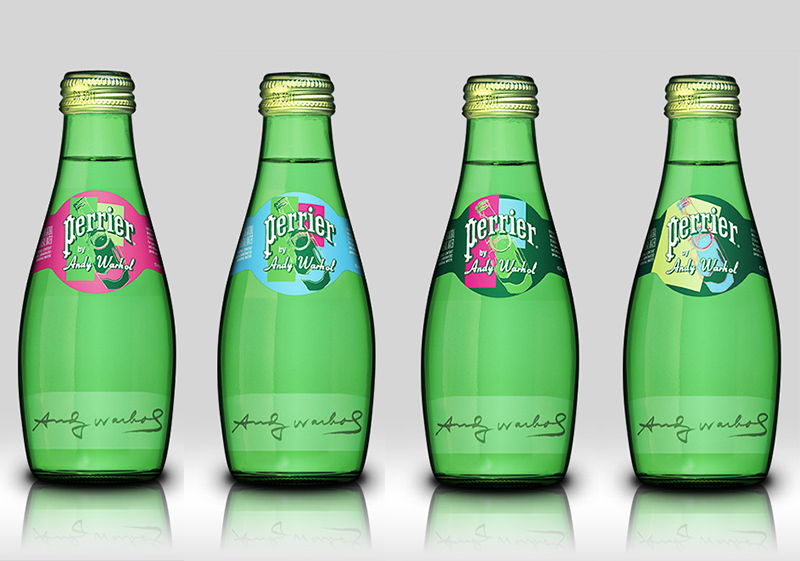 New 2013 Andy Warhol Inspired Limited Edition Perrier Bottles. 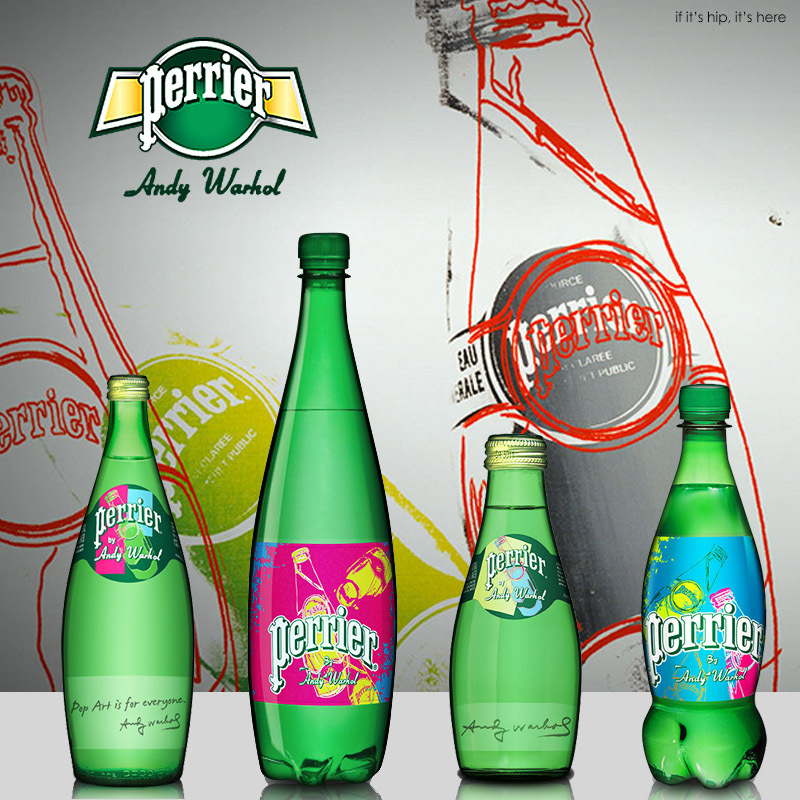 In 1983, Andy Warhol produced more than 40 works of art inspired by Perrier. 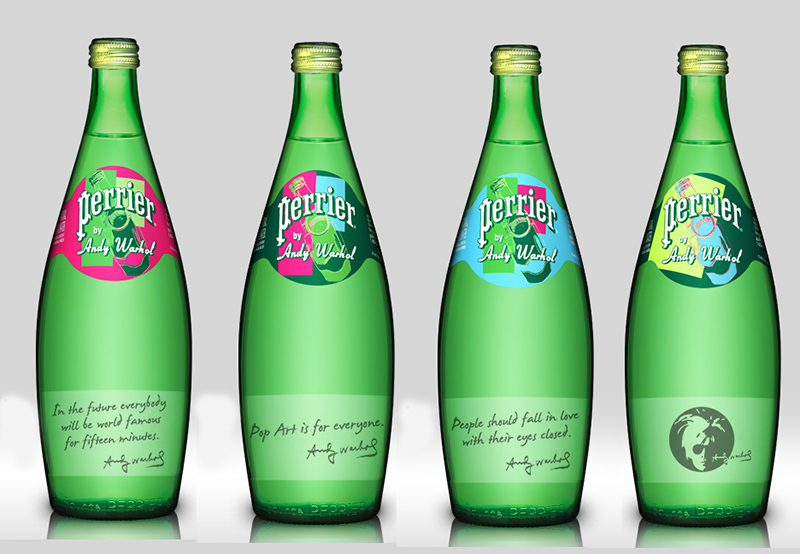 To celebrate these works, Perrier has collaborated with the Andy Warhol Foundation for the Visual Arts to create Perrier by Warhol–a limited-edition series of Perrier packaging based on Warhol’s original works. above: The 750 ml bottles come with four different labels. But since there are various quotes available on the bottles, there are 28 different combinations, each with a unique quote and design (label) combination. above: The 220 ml bottles come with four different labels. But since there are various quotes available on the bottles, there are 28 different combinations, each with a unique quote and design (label) combination. Available now wherever Perrier is sold.